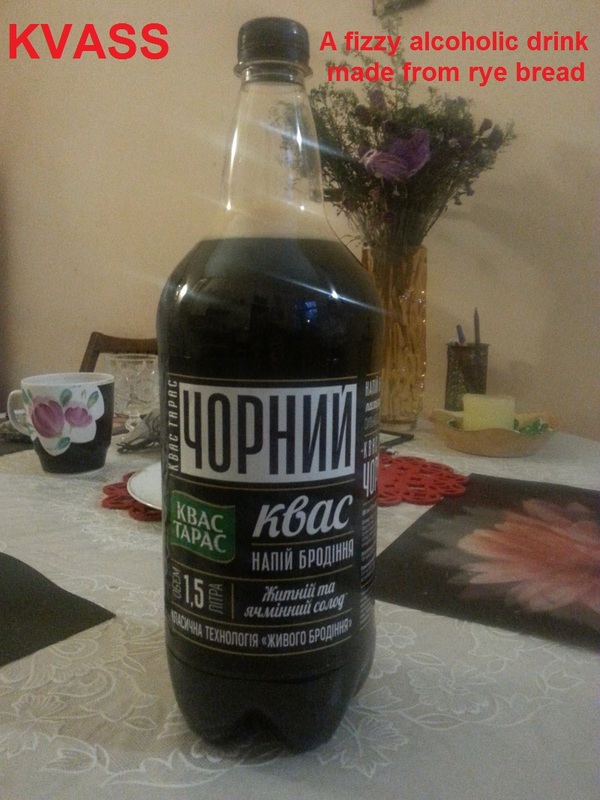 Today I bought a bottle of kvass from the local supermarket. To the best of my knowledge, I’ve never had the beverage before and I wanted to try a traditional Eastern European drink. Kvass is an alcoholic drink but the amount of alcohol it provides is quite low, typically 0.05 – 1.44%. In Russia and Poland, it’s not even classed as an alcoholic drink. Things appear to be the same here in Ukraine, the bottle I bought shared shelf space with the soft drinks. Kvass has been popular in Eastern Europe for a long time. At least since the Middle Ages and, although Kvass is integral to the culture of several Slavic and Baltic countries, it’s believed the recipe was created in Russia. In fact, because the drink can be so dark in colour, it’s sometimes known as Russian cola. At it’s most basic, Kvass is a fermented drink made from rye bread and water. However, it’s sometimes brewed with fruit or birch sap to give it additional flavour. The bottle I bought appears to be just the basic drink. I could really taste the rye bread but did not notice any other flavour at all. However, I’m not kidding myself here. I don’t believe the kvass I bought in a bottle from the supermarket is likely to be as good as the home-brewed version or the kvass manufactured by beer companies. I read that traditional Kvass is served unfiltered and contains high levels of vitamin B and live probiotic bacteria. Apparently, the kvass made by soft drink manufacturers is sweeter and all the probiotics bacteria is dead. There is no sign of any sediment in my bottle, so I’m guessing it’s a soft drink imitation. If I want to try genuine kvass I may have to find somewhere that has it on tap. Previous Article Previous Article: My Website is Blocked in Ukraine!